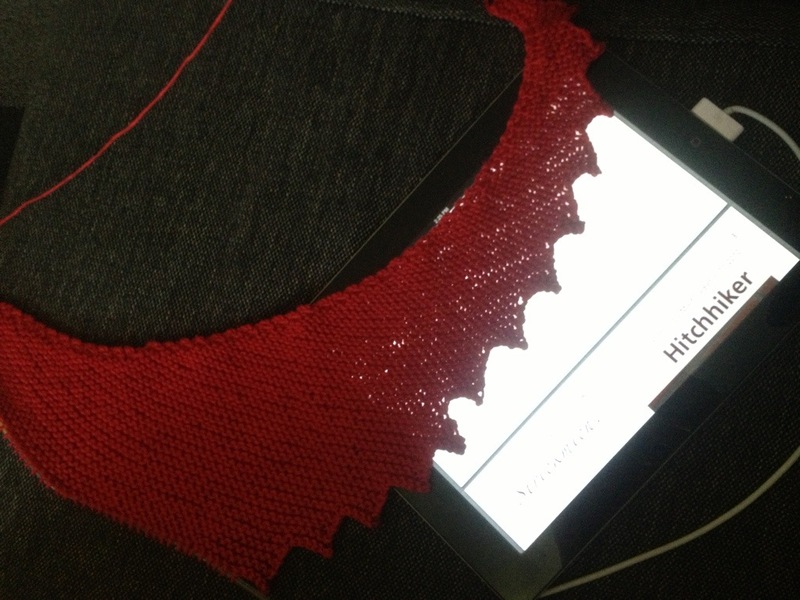 I may be the last knitter around to cast on Hitchhiker going by the project page on ravelry. 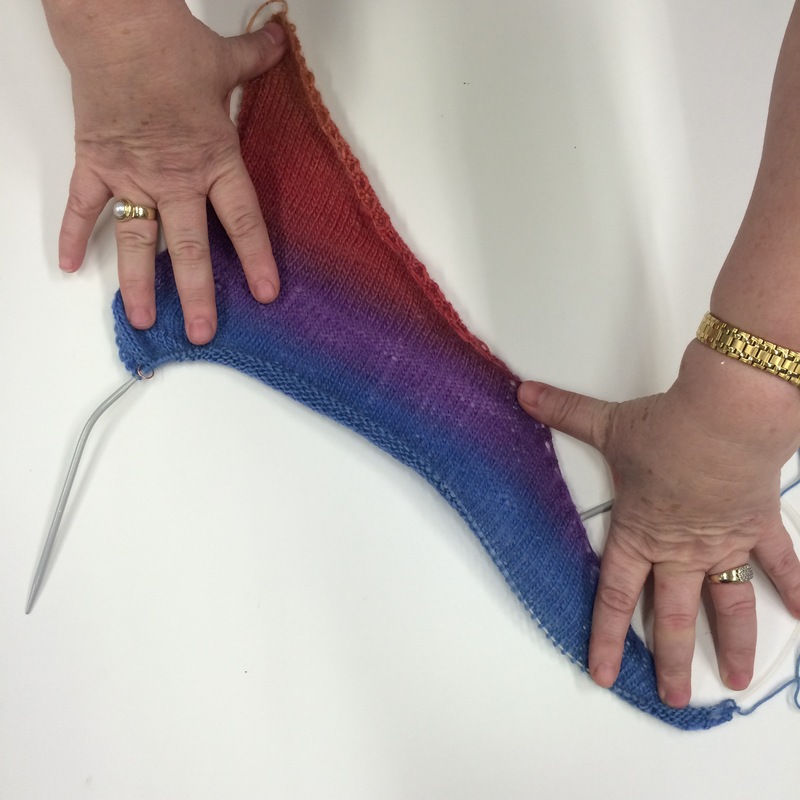 But last year I told my mum I would knit her a pattern of her choosing and that’s what she chose. 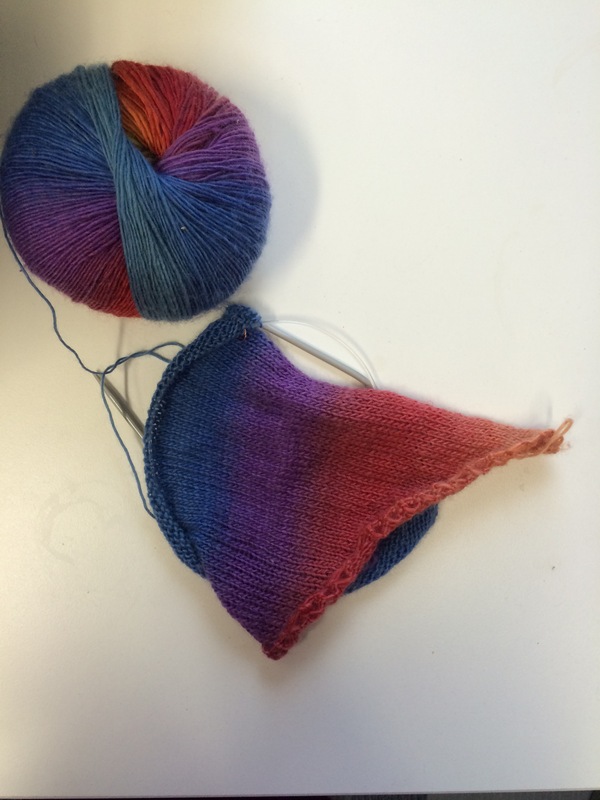 She has been grateful for some truly awful knitted gifts from when I first started, and I’m trying to even the score. 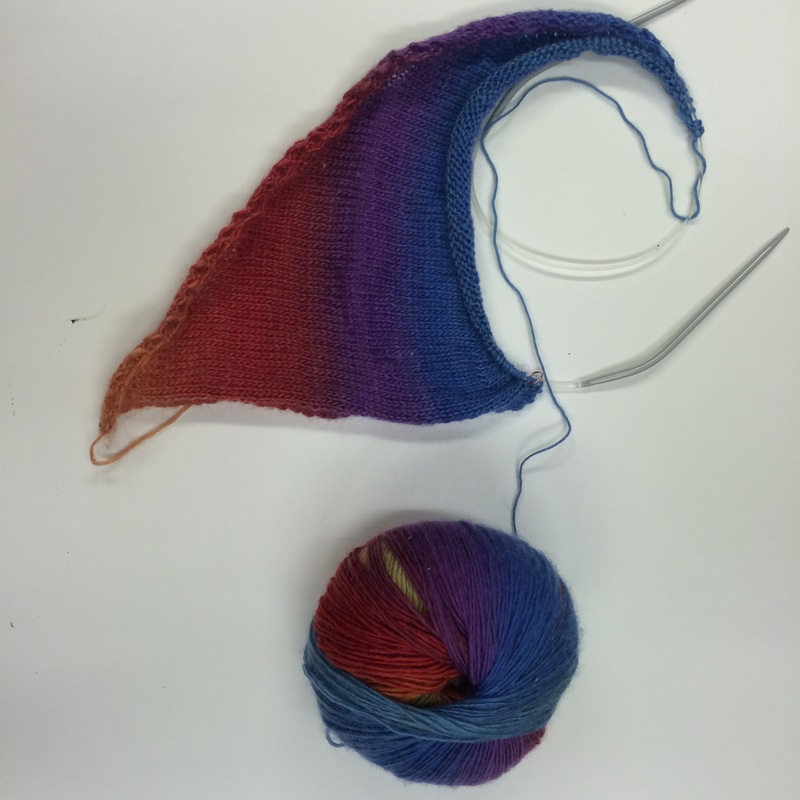 So I cast on Hitchhiker with a bamboo viscose yarn, which is really nice to knit with. So far I’ve ripped it back 3 times. 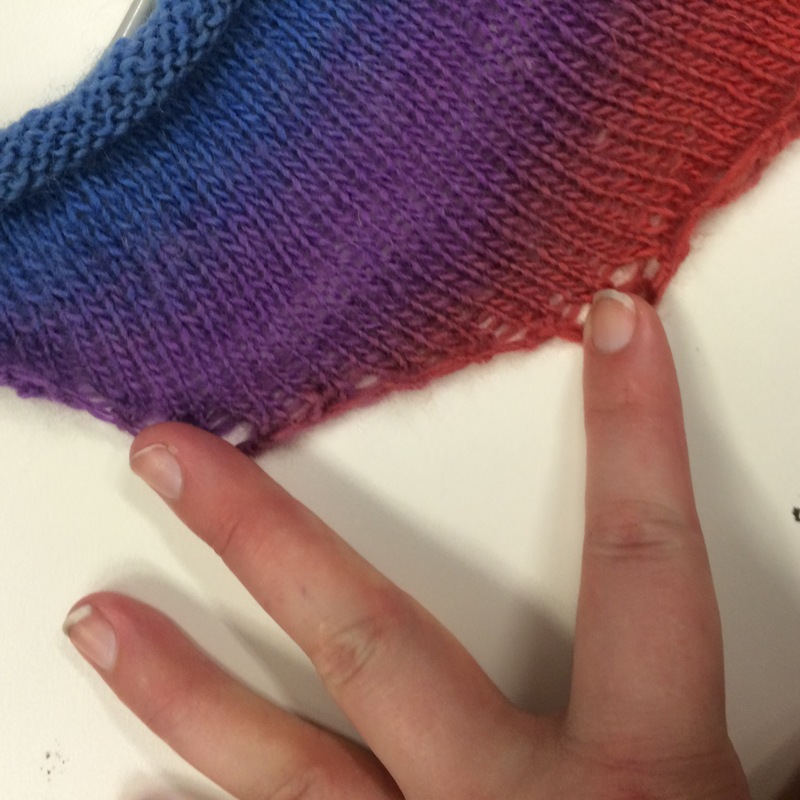 Only a knitter knows just how difficult counting to 6 can be. 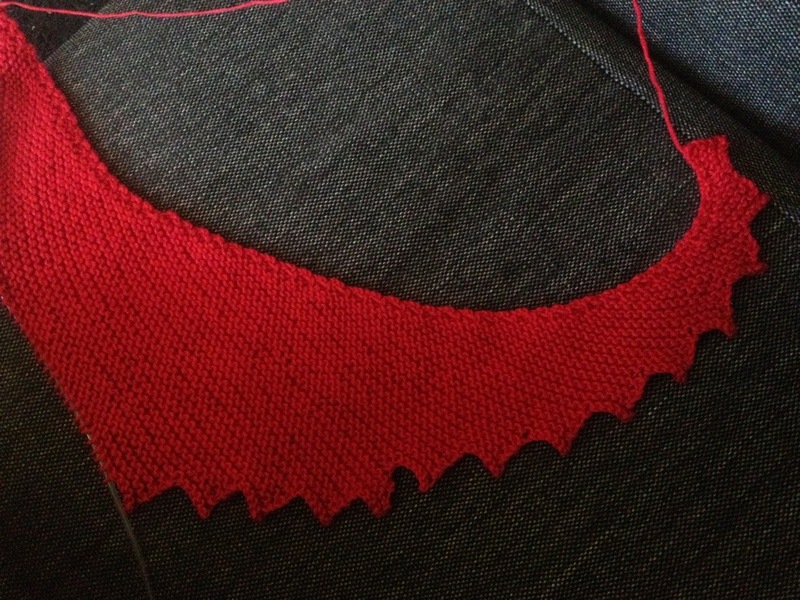 I have so many different projects on my needles at the moment. I have a meerkat which is all ready to sew together, but I just don’t want to. 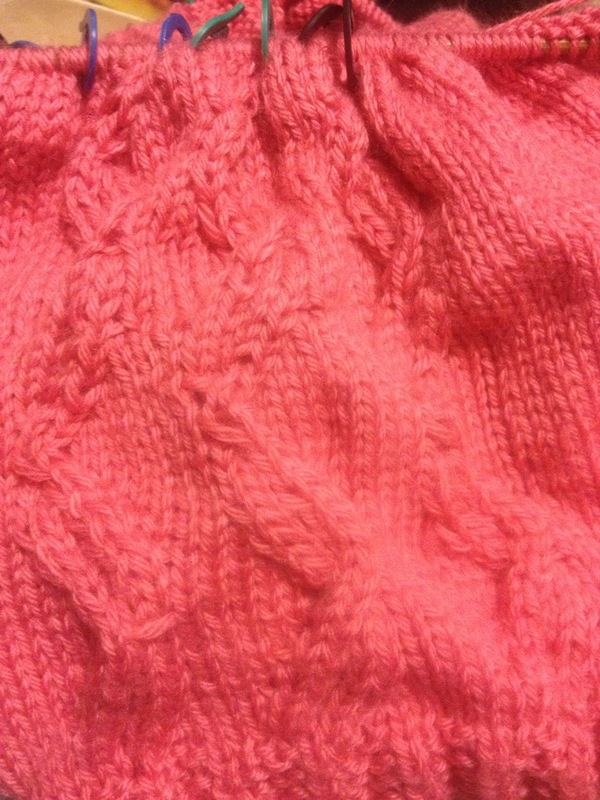 Sewing up is my least favourite part of knitting. I have a pair of fingerless gloves for my grandma in law. She lives down south where it’s colder, and reads on her kindle at night. So she needs something to keep her hands warm, but allows her to read. She is also one of the most amazingly creative souls I know. She is an sculptor, a sewer, a painter and makes some wonderful multi-textured artworks which I really ought to show you some time. So she will really appreciate the work put into handmade gloves. 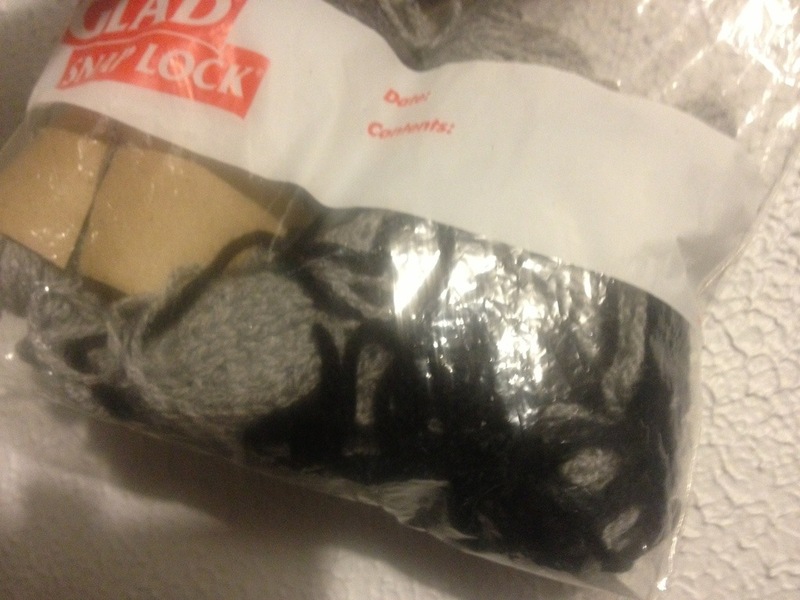 I don’t mind knitting for people who love my gifts. I’m still plodding away at Parcel. This week hasn’t been conducive to cables. 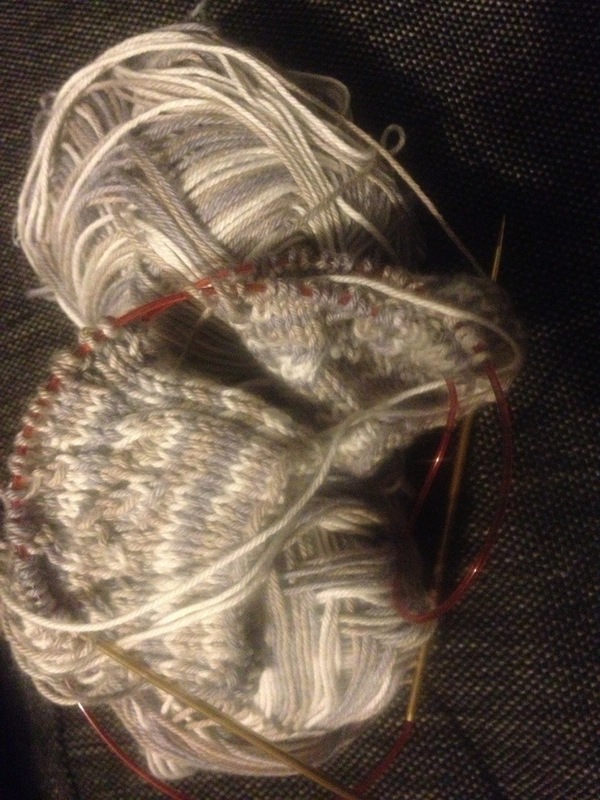 At some point it will all click again and I’ll spend a whole week knitting it, but this week was not that week. All of this wants me to cast on something new! But I’m resisting the temptation. 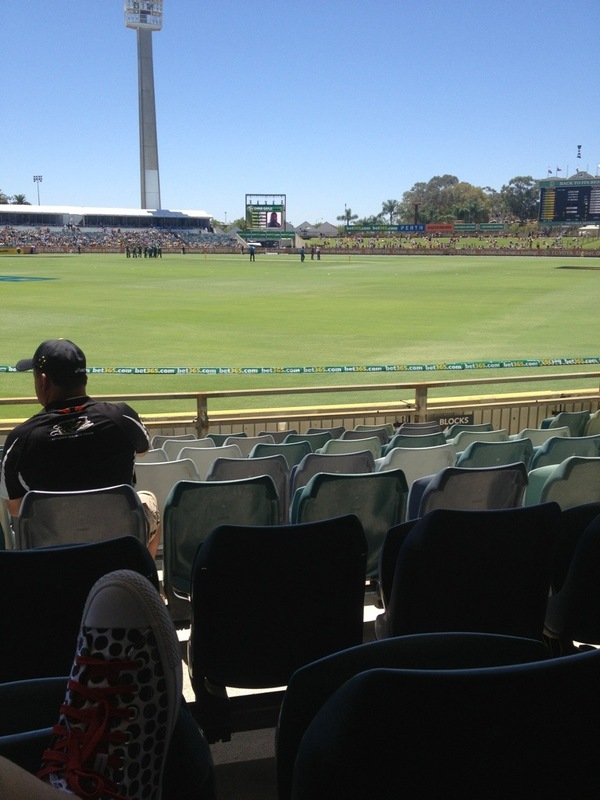 Today’s post comes to you from the WACA. 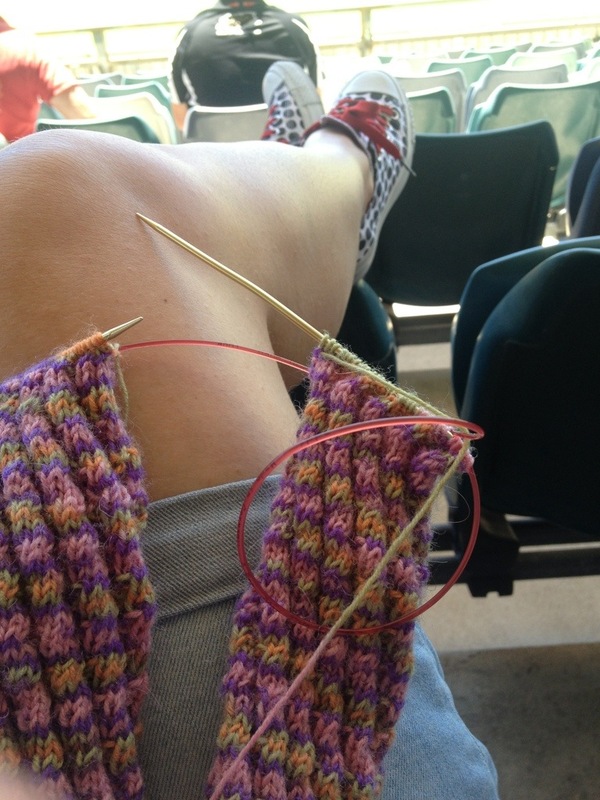 I have polkadot converse and I’m knitting socks. 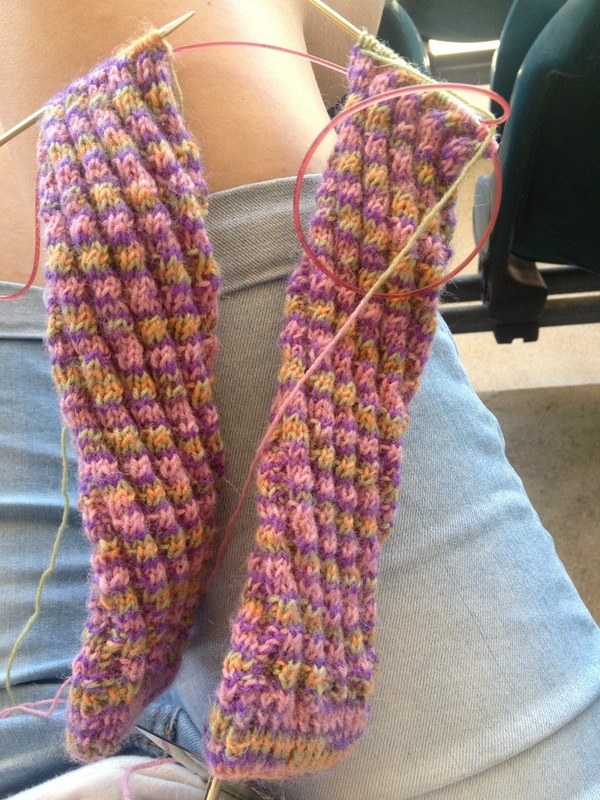 Tube socks which I’m hoping to finish today. Oooh a wicket! Excuse me while I pay attention.